The West Main Street home was designated on the National Register of Historic Places West End District, dating back as far as 1900. 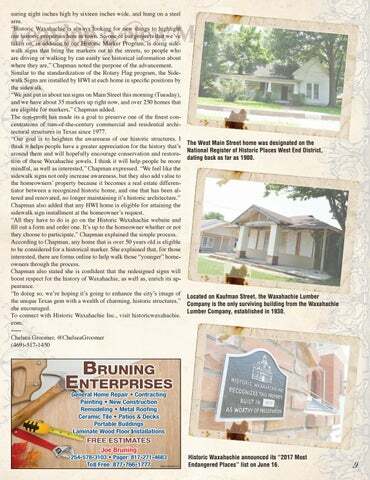 Located on Kaufman Street, the Waxahachie Lumber Company is the only surviving building from the Waxahachie Lumber Company, established in 1930. Historic Waxahachie announced its “2017 Most Endangered Places” list on June 16.